Northern California is the wintering grounds destination for a significant portion of the Pacific Flyway's goose population. Specklebelly, snow, and the smaller sized ross geese are found in abundance in the rice laden fields of the Sacramento Valley. We often see grinds of birds that number in the tens of thousands while hunting. It's a spectacular display of nature. 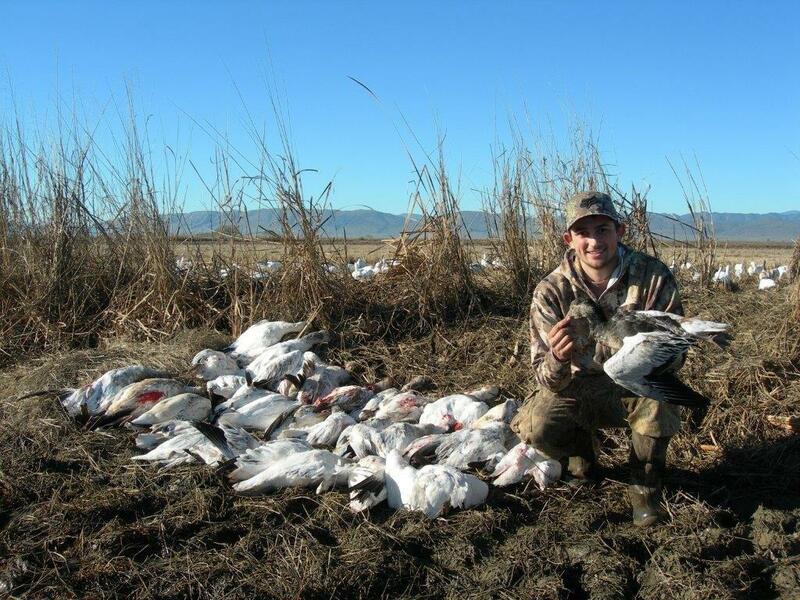 Our guided snow and speck goose hunts are conducted out of permanent, underground pit blinds or portable blinds in the Maxwell area, both east and west of I-5. We guide up to four hunters per day. In the mornings, we usually meet at 5:00 am and normally hunt from the start of legal hunting until 11:00 am. Afternoon hunts are at our discretion and it's about afternoon bird activity. But if we do, we meet at 3:00 pm and hunt until the end of legal hunting time. Our professional, pit blinds are located near the Delevan National Wildlife Refuge, and we also utilize portable blinds in order to follow and hunt the birds, maximizing flexibility and your success. You'll be hunting over up to 2700 snow and specklebelly decoys as only decoying birds will be taken for a spectacular hunt. We primarily utilize premium full body and sock style decoys in our spreads, though we do use our stuffed geese decoys given the right hunting conditions. The birds are usually so close you can see the twinkle in their eyes. 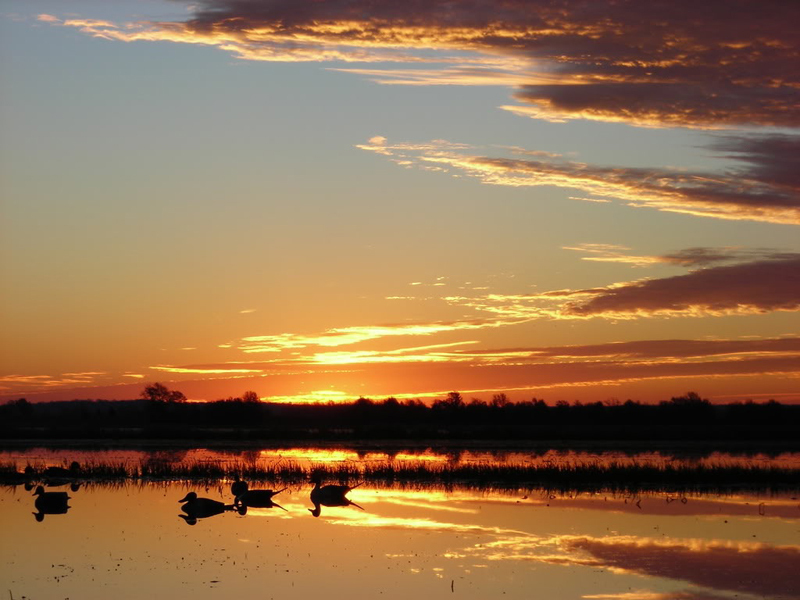 We are experienced speck and snow goose callers, and consistently finish geese into the decoys. 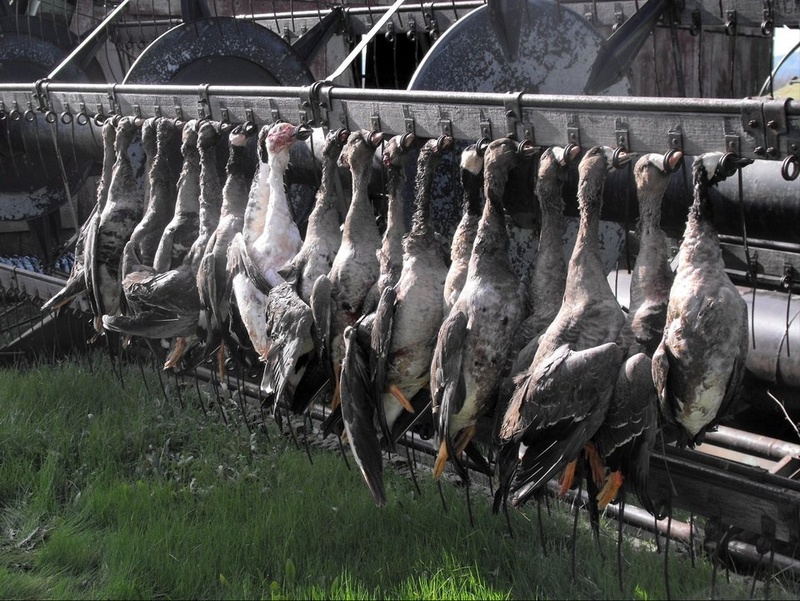 Effectively decoying specks and snows entails different skill sets and strategies, and over the past two decades we have mastered both geese species. from approximately Dec. 19th, 2019 - Jan. 26th 2020. 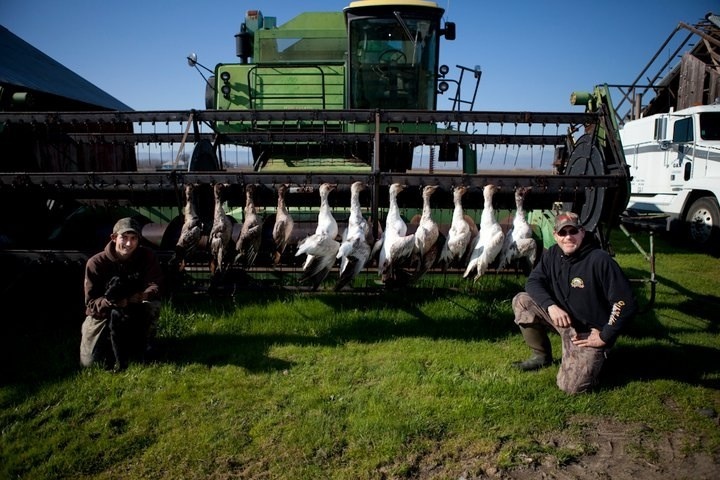 We guide both in and out of the Sacramento Valley Goose Closure Area so we have the opportunity to consistently decoy snows and specks up until the last hunt day of the season. We normally start scouting in the middle of November, but usually don't book guided goose hunts until December due to goose behavior. This has been our proven twenty year strategy that maximizes the number of great hunts for our clients which is always our ultimate goal. We also offer special late season goose hunts - February 8th - 12th 2020. The hunting weather is cool and dry early in the season, but as December and January rolls around, it's usually colder and very wet. Be prepared for anything, and plan accordingly. Please visit California Department of Fish and Wildlife (DFW) website for more information. Safety is stressed at all times, and no unsafe practices will be tolerated. There will be no drinking of alcoholic beverages (or use of other substances) before or during the hunt. Fun, laughs, and enjoying yourself is highly encouraged - in fact, it's required! Our goal for the past twenty years has always been the same - provide you an outstanding experience, and create memories that will last you a lifetime. 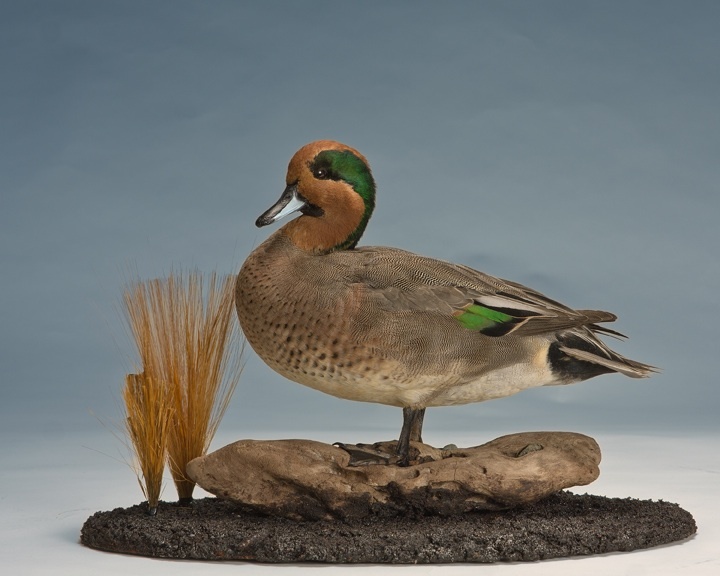 Towards that end, we invest our resources in quality property, decoys, including custom taxidermied decoys also known as "stuffers," blinds, and other gear to maximize your hunting experience. We also invest our time behind the scenes to actively manage our fields, as well as continuely fine tune our hunting skills and strategies. Simply, we proactively manage the hunting variables under our control to encourage your best hunt possible. Along those same lines, there are some things we cannot control, such as bird activity / behavior or weather conditions. These uncontrollable variables can both positively or negatively influence shooting opportunities, also known as "ups," on any given day. As part of your overall experience, our objective is to create as many quality shooting opportunities as possible during your hunt. Of course, you are responsible for pulling the trigger, and connecting with the birds which we hope will be a lot! In the end, you can expect we always strive to provide you the best hunting experience possible, and maximize your opportunities. We look forward to hunting with you in the field soon.